Roaring 21 Casino was recently launched as a top-class Realtime Gaming powered gambling site. This good-looking spot is perfect for anyone that loves innovative games that support both desktop and mobile play. Its plethora of picks includes slots, progressive and table games. Moreover, Roaring 21 Casino welcomes US players, plus it accepts bitcoin deposits and withdrawals. Spiced up with a massive welcome bonus offer and further improved with lots of ongoing promotions, Roaring 21 Casino is a place where players are provided with everything needed for unforgettable adventures. Roaring 21 Casino is one of the newest online gambling destinations on the market as the site was launched in April 2018. This online casino easily attracted lots of attention due to its sleek design, which the operator likes to compare to the 1920’s style. Moreover, Roaring 21 Casino boasts with mobile play, a massive welcome offer and top customer care. Entertainment Software Group NV is the company that stands behind Roaring 21 Casino. This operator is licensed and authorized by the Government of Curacao. Furthermore, the site collaborates with the reputable CDS, an independent dispute resolution body open to all players using games by Realtime Gaming. In other words, Roaring 21 is both safe and fair online gambling destination. 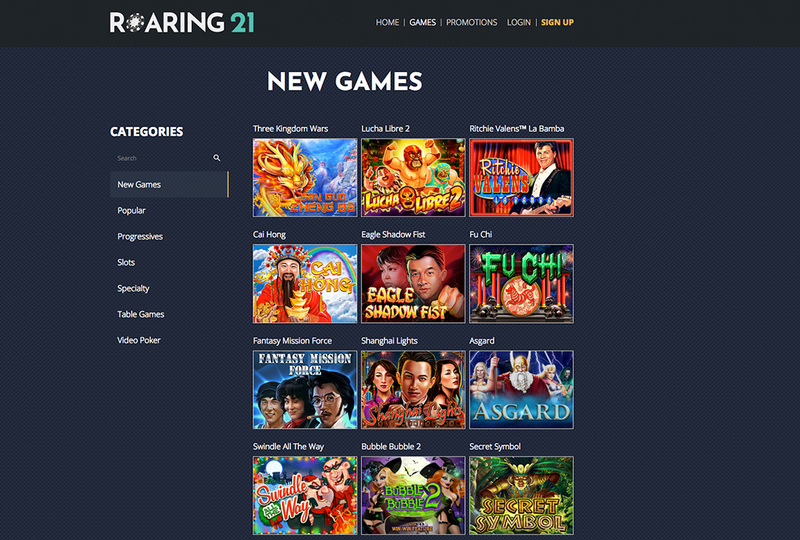 In terms of gaming offer and software provider, Roaring 21 features a long list of Realtime Gaming powered titles. Users can enjoy all the top-class slots, progressives and table games from the comfort of their home as well as on the move. Plus, as Roaring 21 Casino is a bitcoin-friendly online gambling site, its customers can play using the world’s most popular cryptocurrency too. Restricted Countries: Australia, Europe, the United Kingdom (inclusive of Northern Ireland, Channel Islands and Isle of Man), Costa Rica, France, Israel, Romania, Russia, Curacao, Guadeloupe, French Guyana, Martinique, Mayotte and Reunion. Roaring 21 Casino is a fresh online gambling site where players can experience a sleek and modern playing atmosphere spiced up with massive bonus offers. Powered by Realtime Gaming, this site offers fan-favourite picks and supports mobile play. It is, however, a real shame that players aren’t provided with a top-class live dealer platform too. Not many online casinos can boast with such an amazing welcome offer; nonetheless, the operator welcomes newbies with a generous welcome package of $4,300 plus 21 free spins. Naturally, the welcome package consists of three bonuses on their first three deposits. The first deposit bonus is 100% match up to $2,000 and 21 free spins. On their second deposit they are given 120% up to $1,200, whereas on the third payment at Roaring 21 Casino players can claim a 210% bonus up to $2,100. In order to be eligible to receive the deposit bonuses, customers must make payments of at least $35; the coupon code must be redeemed before making a payment and afterwards it is given automatically. Other important details regarding this offer include the minimum wagering requirements as well as the eligible games. Namely, the minimum wagering requirements are set at high 40x, while players can use the bonus on slots, keno and scratch cards only. Those that aren’t into slots are in for a treat as well as the operator has an All Games welcome offer too. Namely, players must redeem the appropriate coupon before making the deposit in order to be given a 100% match up to $1,000 free on their first payment. This offer comes with playthrough requirements of 40x and can be used on all games excluding baccarat, craps, roulette, sic bo and war. Cherry on top are the Roaring Rewards given to players in the form of comp points that can be redeemed for cash. Unlike other online casinos that collaborate with several casino software providers, Roaring 21 Casino works with Realtime Gaming only. Therefore, the game selection includes roughly 130 titles categorized into slots, progressives, table games and video poker picks. Realtime Gaming’s casino software is known for providing sleek gaming sessions and fair results. Moreover, their game selection is constantly improved with new titles such as Lucha Libre 2 and Ritchie Valens La Bamba. All in all, players will have a large selection and variety of games. Roaring 21 Casino provides players with a plethora of accepted deposit and withdrawal methods. 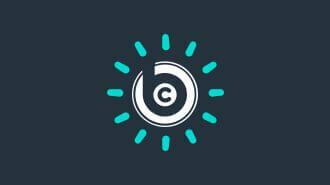 Moreover, the site has a reasonable banking policy, fast processing time as well as limits. Only two currencies are accepted without conversion fees and those are USD and CAD. When it comes to deposit methods, customers of Roaring 21 can use popular payment options such as credit cards and e-wallets as well as bitcoin. According to the site’s policy, the operator doesn’t charge any fees on deposits and processes most such requests instantly. Usually, online casinos have a bit lower minimum deposit amount than the one required by Soaring 21; namely, players cannot deposit anything less than $35 and anything higher than $1,000 per transaction. Offered withdrawal methods at this gambling site include top options such as checks, bank wire, e-wallets and bitcoin. However, credit and debit cards are still tagged as coming soon. Most methods are free to use except for checks and bank wires that are charged with $25. Cashouts at Roaring 21 are processed within 48 hours and often take up to 5 business days to be completed. The limits set here are also a bit higher than players may be used to. Namely, using check and bank wire, users will have to cashout at least $200 and no more than respective $3,000 or $4,000. The option with much lower minimum withdrawal amount is bitcoin, in which customers can cash out as little as $30. Realtime Gaming games available on desktop and mobile devices. Welcomes players from the United States. Amazing welcome offer and lots of other promos. Many banking options including bitcoin. Relatively high minimum deposit and minimum cashout amounts. No live dealer platform featured. Approved by a weak licensing authority. Long list of restricted countries including Europe and Australia. To sum up, Roaring 21 Casino is a recommended gambling destination where players will feel like home. The casino’s website looks amazing and provides for a pleasant stay right from the start; on the other hand, the Realtime Gaming platform works impeccably and guarantees smooth gambling sessions on a wide range of playing devices. The excellent game menu is perfectly accompanied by numerous bonus offers and promotions; plus, the operator always boasts with the great customer care provided around the clock. Ready to Play at Roaring 21 Casino?